I love the high carb days! So right now Ryan and I are doing a carb cycling experiment and so far I LOVE it. ABSOLUTELY LOVE! Also, I’ve seen great results over just about two weeks. We will see how things continue over the next month or so. But anyway, one of the things I love the most is that I can now add in one of my favorite meals that I used to make when Ryan and I did our low-fat (ICK!) experiment. 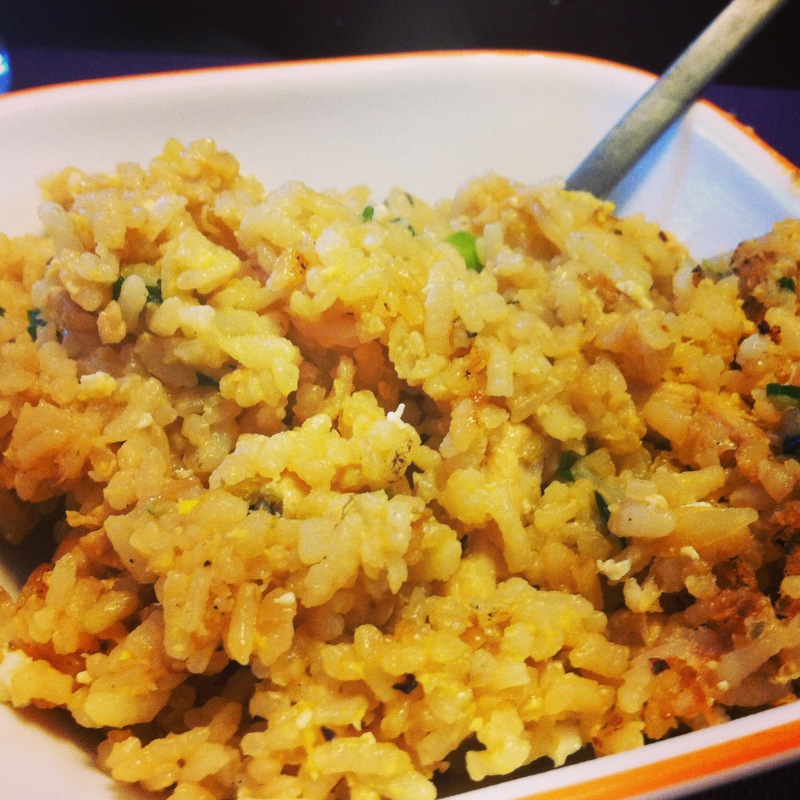 FRIED RICE….or at least my version of the dish! We’d stopped eating fried rice because we used soy sauce in it and soy sauce has gluten in it. We also stopped making the dish because we in general preferred to get our carbs from fruits and veggies. HOWEVER, I’ve found that I feel better during my intense workouts when I consume a few more carbs so I started to add back in potatoes and rice. This summer I even went through a big homemade corn tortilla phase, which I’ve now grown out of. Anyway, since we started adding in more carbs, I started to want to make the Fried Rice again since I’d loved the dish. Which is when we found Organic Tamari, which replaces soy sauce and has no gluten. YUM! I now make this dish as often as I can. We literally have had it every single high carb day during our carb cycling! With a little chicken or fish and the gluten-free Tamari, this is a great lower fat, high carb meal…that is still perfectly Primal! Below is the recipe. I hope you enjoy it as much as Ryan and I do! Cook the rice based on the directions on the package. We usually get the “slow” cooking rice but that is up to you. Chop up the chicken and cook it in a separate pan. Once the chicken is basically cooked, add in bean sprouts and green onions. Add cooked rice to meat mixture. Put in sesame oil and Tamari. Make sure the heat is up on your pan so you can get a little crisp to the rice. Then make two holes in the mixture and crack an egg into each hole. Let the egg cook for a second before tossing the rice with both eggs. Once everything is mixed, enjoy! On our high carb days we keep our protein intake the same, but try to get no more than 50 grams of fat, which isn’t easy after being so used to eating high fat! However, there are only 42 grams of fat if you eat ALL of the fried rice that the above recipe makes. This really should serve about 4-6. Also, a big shout out to Epic! Awesome training session today! Haven’t climbed a rope in a while. Also got to experience my first faux knife fight! LOVE IT! You guys are awesome! Posted on January 24, 2013, in Diet, Recipe Box and tagged carb cycling, diet, fried rice, primal fried rice, recipe. Bookmark the permalink. 3 Comments. hey! can you give us an update on how your carb cycling went? I’m interested! It went really well. I’m not done yet. But my workouts have been all super good. I’m way more relaxed with my diet and satisfied. I always feel super energized and my body fat seems to be the lowest in a while with the least amount of work ever.